Is it possible to find the best technical indicators that are the best for all cases? The best way to find the answer is to collect and analyze data and make a comparative analysis for many years. In fact, statistics shows that depending on different time-frame, market conditions, industry specifics, type of stock or ETF, and other factors, some indicators might be best but other worst, and vice versa. The major conclusion – it is better to select the best indicators for a particular case. Another problem is that there are not only many technical indicators but also many different interpretations of their signals. Some traders use particular favorite indicators and insist that their interpretations are right. A computer program could decide using back-testing which indicator should be trusted more and another less for particular market conditions and a specific stock. It could compose the forecast with weights accordingly to predictive ability of each technical indicator. 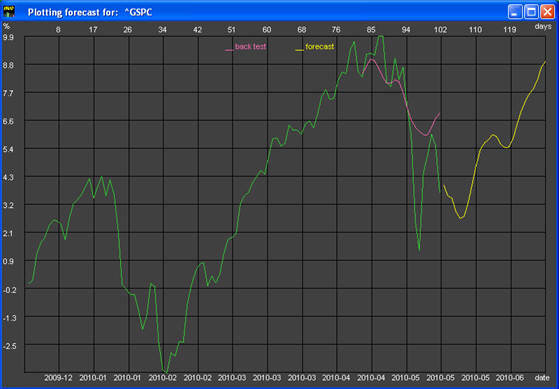 The example of such program is Investment Analyzer (10-day forecast using Neural Network).